How should we design systems where we interact with our behavior? In 2007, the iPhone popularized a new UX paradigm – touch, and soon the rest of the mobile industry followed. New paradigms like touch come with a challenge – how do you enable people to learn how to use something new and unfamiliar? Part of Apple’s solution was an interface rich in visual metaphors drawn from the physical world – nowadays recognized as the infamous skeuomorphism. There was a time that it wasn’t all bad, though. The metaphors felt familiar and we trusted skeumorphism because we as users could predict how a touch interaction in an app might behave. Simply put, it looked like how the real world worked. The experience with apps on the iPhone (usually) met our expectations. As we became more accustomed to touch interfaces, an evolution towards more simplified, print-design inspired interface styles occurred, like the Metro design language found in the Windows Phone by Microsoft. Touch was no longer new, mobile devices were maturing, and the iPhone user interface was considered boring and conservative. Real world metaphors were no longer as essential to convey how the interface behaved. 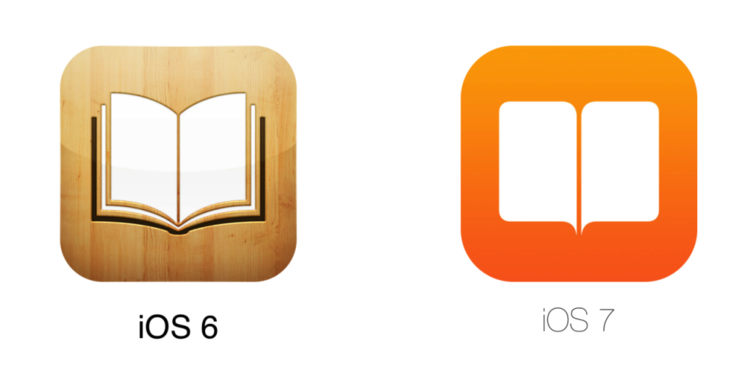 With iOS 7, Apple reacted and rid the iPhone experience of most of its past skeuomorphic visual style. Motion, transition and state augment a print inspired style to reflect the essential qualities of a digital, touch-based paradigm. During the last few years new domains, vaguely described as Internet of Things (IoT) and Connected Home, are emerging as the next big things. Contrary to what their names imply, the power of these domains lay in the services they provide for you rather than the specific things themselves. We’re already used to services embedded everywhere around us, such as travel cards (swipe or nfc based) for public transport that enable us to travel with the least resistance. It’s easy to dismiss the actual card purely as a necessity of past technological shortcomings, but it’s worth considering it as more tangible representation (or avatar) of the service. There’s a system in the background enabling the transportation, but in most cases having the card is what it takes for people to depend on and understand how to use the service – the card is the key and you swipe it to get access. As humans, we establish trust by comparing promises with actual responses. But with emerging services and experiences, sometimes we don’t know what the promise should be. What does it mean for the thermostat to “learn”? And how can we know that it’s learning? To comprehend what’s going on, we look for ways to move this from abstract to tangible. As users, we’re not only interacting with these services via touch, physical buttons, or other types of interfaces – we’re interacting with our own behavior. ”Smart objects”, loaded with sensors, and connected to massive data sets, can often infer what we do and how we do them, all in an attempt to enable a product or service to execute appropriate responses. 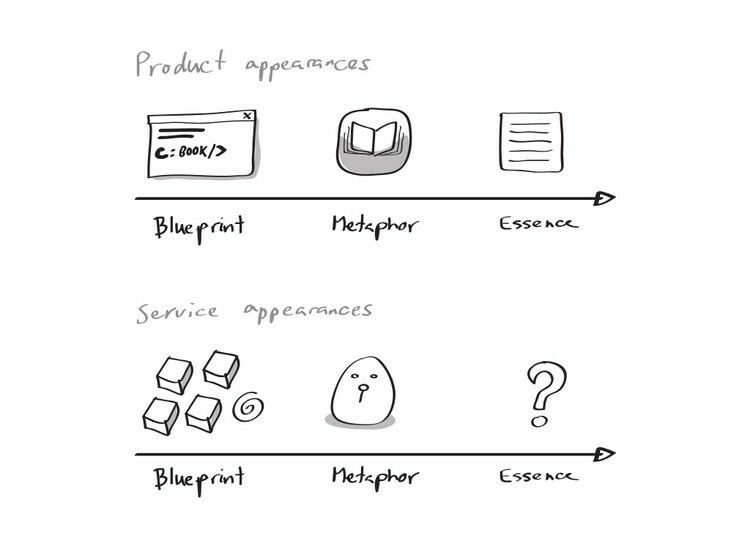 How should designers communicate how these systems work and enable people to rely on, trust, and understand them? Rico and Mother are examples from a new breed of connected services and gadgets. They’re instantly familiar and like-able. Their use of metaphor is anthropomorphic rather than skeuomorphic – and they exhibit human form, qualities and behavior without being living entities. Just as the original iPhone’s real world metaphors were easy to grasp, relating to Rico is easier and nicer than trusting a generic surveillance camera. ”As I leave home, Rico sees I’m leaving”. When you move the Mother hub around the house, it becomes part of your life, confirms your existence and is no longer a creepy big brother. We can use our experience of people and their behavior to relate to anthropomorphic systems. Metaphors playing on human qualities make sense to set expectations for a field in its infancy. For Connected Home services, it’s a clear step towards the mass market compared to earlier setups where the user received a box of sensors and were expected to assemble them. It took roughly five years for the design world to adopt, get tired of and finally replace the original iPhone interface. 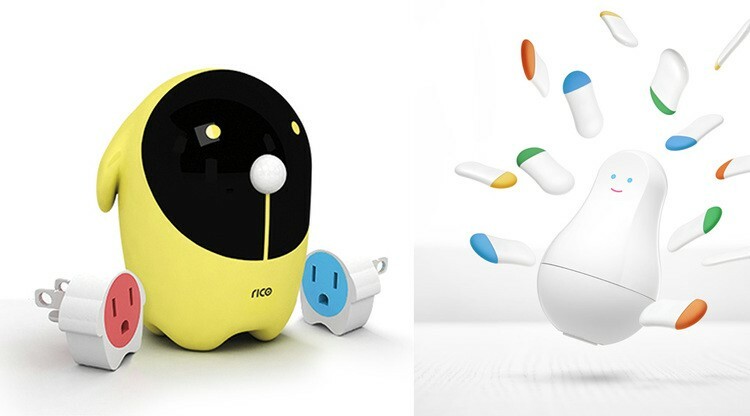 Near future, we should expect a wave of more anthropomorphic designs around our homes. But we’re pretty sure history will repeat itself and we see connected services mature, establish conventions and take on appearances beyond what’s conceivable today – similar to how mobile devices found their truly digital essence. There’s a bunch of hints on what this maturing could mean. The car industry has long been at the forefront of creating character into their products through shape, material and sound. Recent cars, such as the Audi A8 hint at how this industry is adding even more character through animated behaviors. The headlights are true to the car identity while acting smart and alive – demonstrating how expressiveness doesn’t necessarily need to simulate human behavior, but can draw on behavior we can relate to. We’ve seen the smart phone make everything from music players to egg timers obsolete. The general trend of wearables, but also Rico and Mother, already hints to the return of more single purpose devices. For one thing, the home is a stage where multiple users share the same system. Services with physical touch points grant people around the home easy and equal access, but also awareness of your and other people’s interactions with the system. Dedicated devices makes the services easier to relate to. Just as smart objects and services are interpreting our behavior, we sometimes need to understand what this interpretation results in, and how it might come to its conclusions. This is equivalent to a math teacher asking you to show your work. As painful as it may have been for us in grade 9, teachers around the world are establishing trust in our abilities and accuracy. Unfortunately, most smart systems don’t do much to embody their processes. Nest hardly does it at all expect for showing its current state. Netflix explains its recommendations as “because you watched” (also problematic when not getting it right). We’re left with few ways to establish trust, let alone engage with the processes directly. Of course, users don’t want to evaluate these intelligent algorithms specifically. But in the foreseeable future it will become more important to design touch points where complex processes can be shown, become relatable, and may even become tangible to us. We’re not suggesting that anyone rejects leveraging anthropomorphic design patterns today. We are still in early times in the design of our connected things and services, and these patterns will play an important role in establishing user expectations and building trust in intelligent services. However, designers must continue to explore and create new approaches. As far as designing for our connected life goes, the essence is still out there. What new challenges do you see ahead?